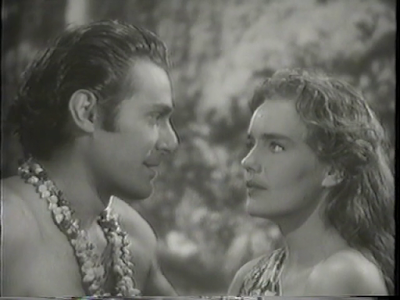 In 1940, Frances Farmer co-starred with Victor McLaglen and Jon Hall in a tropical island adventure called South of Pago Pago. 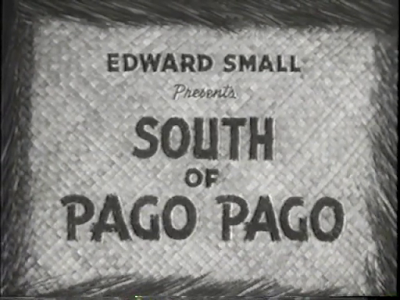 This exciting motion picture represented yet another high point in the relatively short silver screen career of the beautiful actress. 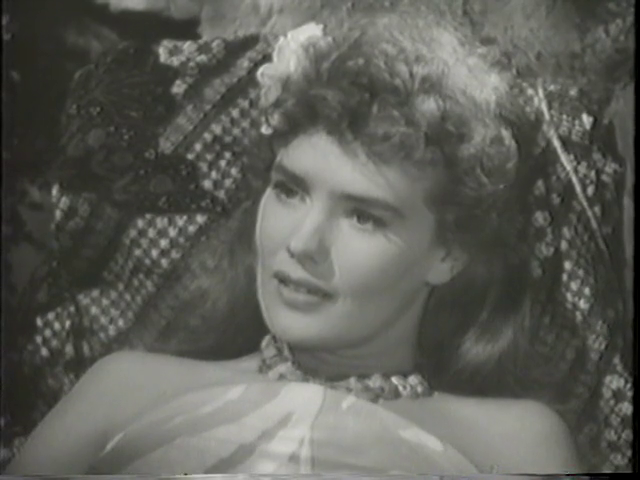 Though billed third in the credits, Farmer was the certainly the star of this fine film and she shines throughout. South of Pago Pago tells the story of a thrilling escapade in the South Sea region of the Pacific Ocean. 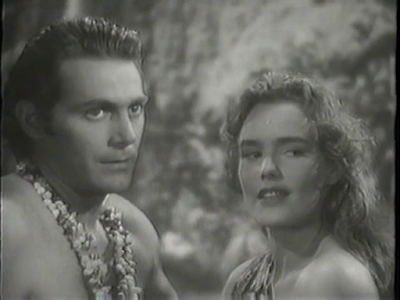 Ruthless pearl hunters come to an island paradise and end up ruining it because of their greed and evil ways. 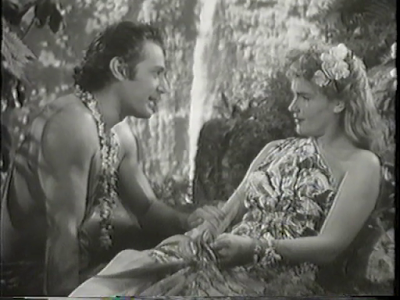 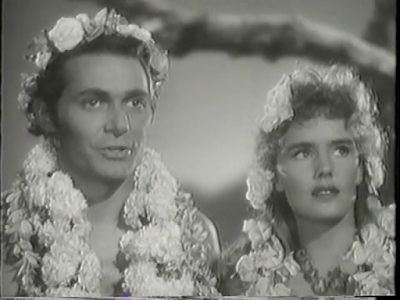 Farmer comes along as one of the pursuers of pearls but she ends up recognizing that what they are doing is not right and she falls in love the island's handsome prince (Jon Hall). She plays the character perfectly: Farmer begins as a tough, world-weary woman and she transforms into a woman of conscience. 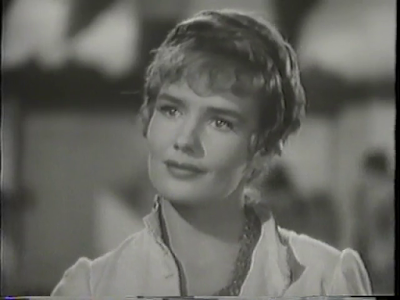 Her vast skills as a actress allow her to let the vulnerable side of her character show and she is easily able to deliver a believable and consistently engaging performance. 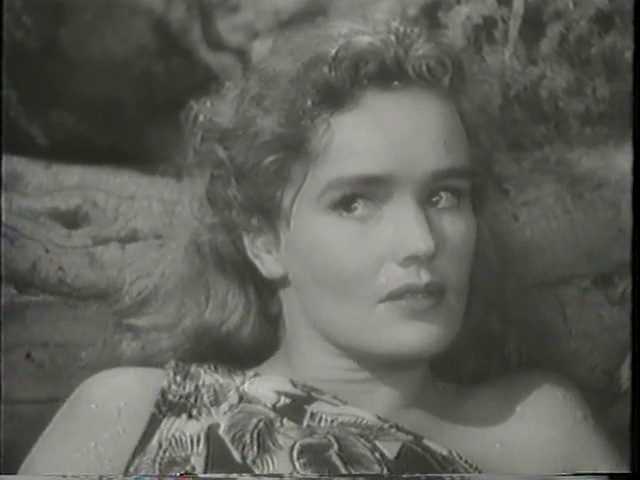 Frances Farmer, quite obviously, is at her most physically attractive in this movie and her talent and good looks combine wondrously to produce a very memorable viewing experience for her fans.